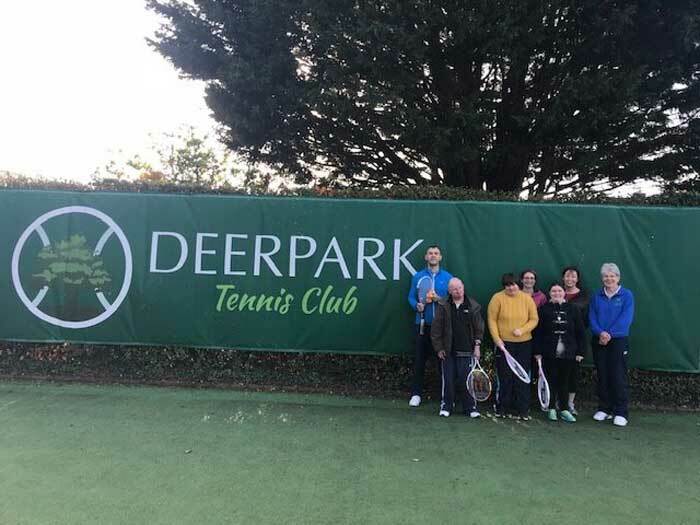 Our Goatstown Service for adults with disabilities would like to say Thank You to Deer Park Tennis Club . Some of our service users take part in tennis coaching every Friday with thanks to the voluntary support from coaches Ciaran, Heather, Mary and Ciara from the Club. Tennis is a fantastic activity that promotes ability and wellbeing. We are truly grateful for this community support. Pictured above: Coaches and Alan, Celine and Liz from Goatstown Services.